One hellishly hot day, June 15, when all the thoughts of Cairo’s residents—charred from heat—turned if not toward the relaxing beaches of Alexandria, then toward a cool bath or a shower, a respectable-looking stranger from Syria showed up at the Soviet Embassy. Met by advisor Daniil Solod, he introduced himself as Naim Antaki, a member of Syria’s parliament from Damascus, and the former Syrian Minister of Foreign Affairs. Naim Antaki confided that he had arrived in Cairo with a secret message from the Syrian government and can only discuss it with the Ambassador. I met Naim Antaki. After introducing himself to me the same way he did to the advisor, he handed a letter of recommendation from Syria’s Foreign Minister, Jamil Mardam Bey, in which he notified me that Naim Antaki is invested with the full confidence of the government and is authorized to make an important confidential proposal on behalf of the latter. This proposal, given to me verbally, was indeed important. The Syrian government intended to establish diplomatic relations with the Soviet Union, seeking to hold preliminary talks. It considered Damascus a convenient place for these talks, where the designated Soviet representative would be given a fitting welcome and provided diplomatic immunity. Expressing hope that the Soviet government agrees to these negotiations, the Syrian counterpart also requested to consider this initiative as being confidential. A similar request concerned the Soviet representative’s visit to Damascus, but only until the negotiations were complete. Naim Antaki wanted to receive Moscow’s answer in Cairo, where he often conducted certain business operations and where, therefore, his presence did not generate unwanted speculations. I was not very surprised by the safety measures on the part of Jamil Mardam Bey. 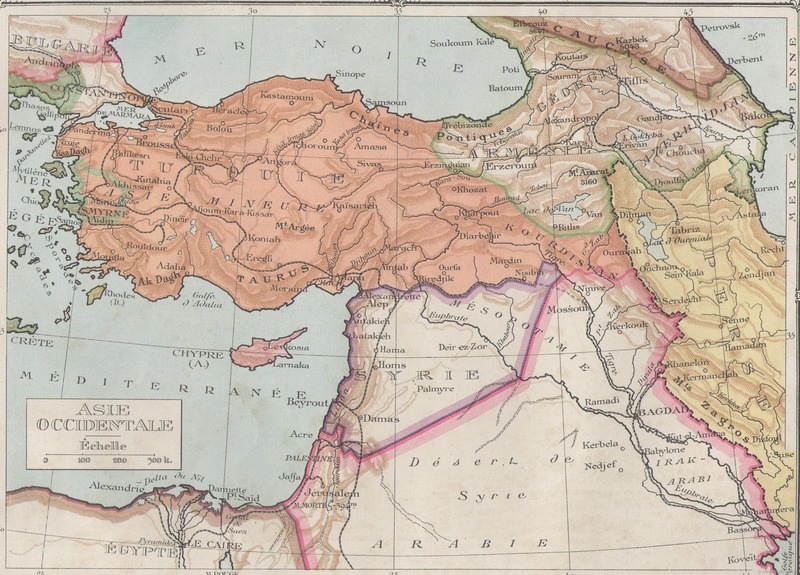 Prior to the war, Syria, like Lebanon, was part of the French Mandate. In other words, it was a thinly-veiled colony. Formally, they had national autonomy, their own parliaments and governments, but the full power of the government belonged to the French High Commissioner. The French Mandate in interwar Syria. After France’s loss in 1940, Syria and Lebanon formally maintained the Vichy collaborationist government for some time. However, in practice it was the German-Italian Control Commission that stayed in power. Germany’s conquest of Greece, including Crete and the Aegean islands in the immediate vicinity of Syria and Lebanon—insecurely protected by the remnants of Weygand’s army—prompted London to take decisive action. In June of 1941, British troops supported by Free France defeated Vichy forces and occupied Syria and Lebanon. What emerged as a result was a period of interregnum, when the French Mandate virtually lost all power, whereas the peoples of Syria and Lebanon gained the prospect of attaining independence. But for now this was only a prospect. The status of these countries was very fragile. Even after declaring Syria and Lebanon sovereign republics in autumn of 1941, the commander of Britain’s occupation troops held the real reins of power in both countries. De Gaulle’s representative tried to challenge his power. Garrisons of Weygand’s former army were stationed in the cities of Lebanon and Syria, hastily repainted into the troops of Free France and continuing to be a threat to the independence of these countries. Under the circumstances, Soviet recognition of Syria as a sovereign state would serve as solid support for its people in their struggle for genuine independence. But a premature disclose of the fact that negotiations about this subject were ongoing would allow the enemies of this young state to thwart their successful completion. Hence the emphasis on confidentiality on the part of the Syrian government. Of course, this fact could only be concealed for a short period of time, and even then, not from everyone. For the British authorities, for example, whose intelligence network flooded the capitals throughout the Middle East, it would not be much of a secret at all. De Gaulle’s intelligence in the Middle East stood at a lower level. Thus, an attempt to hide from it for the time being could actually work. It was likely that it was the French authorities that the Syrian government feared first and foremost. I asked Naim Antaki whether this was the case. He did not deny the fact that this is what concerned Syria the most at the given moment. – But I suspect – he added with a deferential smile – that my friend Mardam Bey has another significant reason forcing him to be secretive. I will be quite frank with you. We have no guarantee that the Soviet government would positively interpret our initiative, even though I am highly optimistic myself. And a potential misfire and consequent publicity would undermine the government’s prestige. Naturally, the Prime Minister would prefer to avoid such an outcome. I assured Naim Antaki that I would immediately contact Moscow and let him know about their answer. On the same day, I informed the People’s Commissariat of Foreign Affairs (NKID) about the proposal and said that I support it. The Commissar’s answer came two days later. Vyacheslav Molotov was giving me the authority to convey to Naim Antaki that the Soviet government, in principle, was ready to establish diplomatic relations with Syria and granted his permission to hold talks in Damascus instructing me to lead them. Invited to the Embassy, Naim Antaki gladly listened to Moscow’s response and said that he would immediately leave for Damascus to discuss—with Mardam Bey—and organize the duration and other details of my visit. On July 7, he turned up in Cairo once again with the news that they are waiting for me in Damascus in the next few days if this is convenient for me. We agreed that I would leave on Monday, July 10. This is what happened in terms of keeping things secret. I instructed Embassy staff to tell anyone who asked for me that I was away with no further details. This included members of the diplomatic corps, journalists, and acquaintances in Cairo. However, I did inform the State Secretary of the Egyptian Foreign Ministry, Mohammed Salaheddin Bey, over the telephone that I was heading to Syria for a few days, but, of course, without disclosing the purpose of my visit. A diplomatic representative cannot leave a country in secret like some smuggler. The British Embassy was aware of my visit, too: it was the British military authorities that gave me permission to travel through Palestine. Thus, the only “clandestine” aspect of my mission was its purpose in the limited sense mentioned above. Funny thing is, none of the informed organizations said a single word about my trip to the media hungry for such news. As a result, the official communiqué on the talks in Damascus published later took the media by complete surprise. At about five o’clock in the evening, our limo pulled up to the Umayyad hotel—very modern and comfortable. Here, Naim Antaki said “goodbye” to us, passing us onto the representative of the Foreign Ministry Protocol Department—a young man named Hussein Marrash. Bypassing the receptionist, he took us to our suites, timidly apologizing for the lack of honors that foreign-government envoys deserve. We took two of the three suites booked for us. Dneprov and Matveev stayed in the same suite for the sake of greater security of the “encryption department.” The other—a two-room suite—was mine. This was to be my office and home. Hussein Marrash wished for us to enjoy our stay, and said, leaving, that in the morning I will be meeting with Jamil Mardam Bey. After he left, we carefully washed off the layer of road dust, changed, and the three of us had dinner in my suite. In the evening, we naturally wanted to walk through this famous ancient city, but had to be mindful of Marrash’s request not to do so to maintain our incognito status. Therefore, we were left to admire the dimly-lit central part of the city from the window of the hotel, located near the Martyrs’ Square. It was named in honor of Syrian patriots, who rebelled against Turkish rule during the First World War and were executed by the Turks as a result. On the morning of July 12, I checked the local and Beirut newspapers (in French) and found no mention of our visit: either as a report on politics, or news on social events. The government’s concern for secrecy was a success. My meeting with Jamil Mardam Bey did not take place at the Ministry of Foreign Affairs, as I expected, but rather in an impressive mansion in the style of European architecture. I never found out whether it was inhabited or served any other purpose, for instance, protocol receptions. In any case, I only saw the butler, who opened the massive front door for Hussein Marrash and me, and Jamil Mardam Bey, waiting for me in the living room. The Syrian Minister of Foreign Affairs was already older than fifty, but looked youthful. Following mutual greetings and Mardam Bey’s well-mannered questions about our trip and hotel, Hussein Marrash left us alone. We began to discuss business. Upon the request of the Minister, I explained to him the positive attitude of the Soviet government on the question of establishing diplomatic relations between the USSR and Syria. At the same time, I stressed that these relations will be established upon the foundation of broadly accepted international law, recognizing the full equality of both sides. I made this self-evident clarification in order to eliminate any possible concerns on the part of Mardam Bey. After all, I did not rule out the fact that he and his colleagues in the Cabinet—having experienced on their own skin the cunning policy of “great” imperialist powers more than once—shared a certain lack of confidence toward the new international partner of Syria, the Soviet Union, whose policy was too often distorted in the circles hostile to us, as we all know. When I finished speaking, the Minister stated that the agreement by the Soviet government is a very significant factor for Syria’s independence. Naim Antaki’s initial message already generated great enthusiasm among his higher-ups. All that was left was to formalize the relationship between our two countries. In conclusion, Mardam Bey requested the exchange of ambassadors with the Soviet government. Having read the letter, I said that it fully meets the main objective of our negotiations, and I am very impressed with its spirit of friendliness, piercing it from the first to the last line. I expressed my conviction that the Soviet government would review it with the greatest amount of goodwill and will promptly respond in a positive manner. I thoroughly reread the letter in my hotel room. In its content and spirit, it indeed met the purpose of the talks, as I had mentioned to Mardam Bey. Yet furthermore—this was very characteristic for the letter—certain phrases mentioned an equal relationship, the rejection of Tsarist Russia’s privileges by the Soviet Union, etc. It is as if the Syrian government invited the Soviet counterpart to officially declare once again the well-known principles of Soviet foreign policy. This, of course, was reassurance, and an unnecessary one, in my opinion. But the final decision about the content of our answer was with Moscow. I translated the letter into Russian, wrote a message about our conversation with Mardam Bey, and handed everything to our “encryption department” in order to send it all off to the People’s Commissariat of Foreign Affairs. 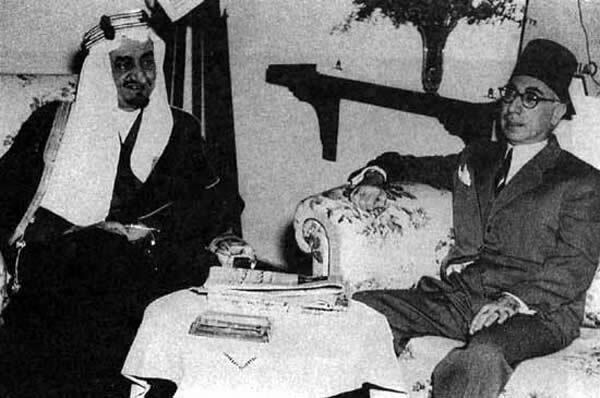 Jamil Mardam Bey, a 33rd-degree Grand Orient Freemason, with Saudi Prince Faisal. On Saturday, July 15, around noon, Jamil Mardam Bey visited Bloudan. Our attentive guardian Hussein informed me about his visit in the morning. He told us that the Minister wants to introduce me to Shukri al-Quwatli, the President of the Syrian Republic, which I gladly accepted. The President lived next to us in his own estate in the valley of Zabadani. His residence had little resemblance to a palace of the head of state. It was an ordinary manor house, no different from the others that I have seen in the Bloudan area. The ceremonial rooms of the house were furnished half in the European, half in the Arabic style, and said more about the well-being rather than wealth of their owner. The President of the Syrian Republic and the leader of the ruling National Bloc was an aging, sickly-looking man. It did not escape my attention that he barely managed to overcome physical fatigue or, perhaps, acute pain. He was quite cordial, but without any pomp, in the presence of one other person, Mardam Bey, consistently maintaining secrecy. I suspected that by inviting the Soviet representative, the President was not guided by protocol, but by the desire to determine the reliability of the steps undertaken by the Syrian government through personal contact. The nature of our conversation after breakfast confirmed my guess even more. In practice, here, in this country estate, we were holding the second round of negotiations initiated on July 12 in Damascus. I am extremely interested in one thing that may seem anachronistic to you, but for us, Syrians, has not lost its relevance. What I mean is capitulation and other special privileges that the Great Powers, including tsarist Russia, had enjoyed in the East. I know full well that Soviet Russia, from the very moment of its birth, has officially rejected them. However, I would be very happy to hear from you that now, after almost three decades, this principle remains valid. Thus, my concerns about the question of inequality emerged once again. This means that I was unable to convince Mardam Bey about this issue fully when I met him. And if I did, then these concerns remained in the heads of other Syrian leaders. As in the conversation with Mardam Bey, I outlined the Leninist principles of Soviet foreign policy, thoroughly focusing on the policy towards the countries of the East. I reminded him of signing equal treaties with Afghanistan, Turkey, Iran, Mongolia, and China after the October Revolution. These agreements embodied such principles. If the confirmation of their validity now required new facts, then the recent establishment of diplomatic relations with Egypt met this goal perfectly. On an absolutely equal footing, I did not fail to emphasize once again. The President thanked me for this clarification and no longer brought up this subject. In the afternoon of July 18, Jamil Mardam Bey once again visited the mountainous resort of Bloudan and invited me to his suite. He was not alone. Next to him on the couch sat a man unknown to me, around the age of fifty, wearing horn-rimmed glasses, and slightly balding in the forehead. Mardam Bey prepared a big surprise for me by introducing this stranger as Lebanon’s Minister of Foreign Affairs, Selim Taqla. Selim Taqla did not beat around the bush and revealed the purpose of his meeting me. Lebanon’s government, he said, is aware of the negotiations between the Syrian counterpart and the Soviet Union. It has been following their progress with both empathy and interest and also intends to propose the establishment of diplomatic relations to the Soviet Union. I responded that I warmly welcome the friendly intentions on the part of the Lebanese government and would immediately send a request to Moscow. I had no doubts about the fact that the Soviet government would agree, however, this time around I refrained from ensuring him of Moscow’s prompt response. 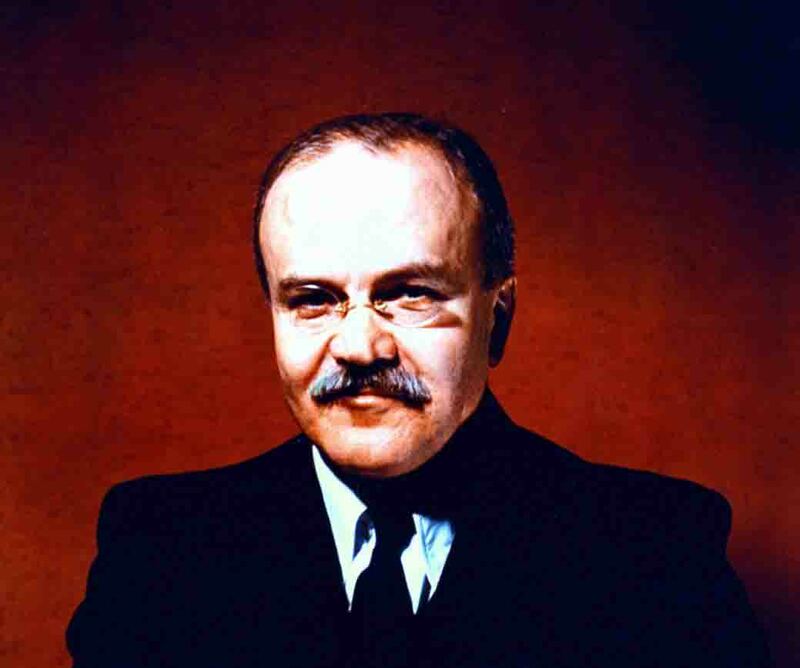 Soviet Foreign Minister Vyacheslav Molotov. The Government of the Union of Soviet Socialist Republics truly appreciates the sentiments expressed by you about the great struggle of the Soviet people against Nazi Germany and its accomplices. The Soviet Government was pleased to accept the offer of the Government of Syria to establish friendly diplomatic relations between the USSR and Syria. The Soviet Government is ready, as soon as possible, to accredit the Envoy Extraordinary and Plenipotentiary of the USSR for the President of the Syrian Republic and receive the Envoy Extraordinary and Plenipotentiary of Syria, who will be accredited by the Presidium of the Supreme Soviet of the Union of Soviet Socialist Republics. Familiarizing myself with the telegram, I asked Hussein to immediately inform the Minister of Foreign Affairs that Moscow’s answer had been received, that it was rather positive, as was expected, and that I could hand it to the Minister in person tomorrow morning. I will always be proud of the fact that I participated in the historical act of establishing diplomatic relations between our countries. This act is a great milestone in the history of the Syrian Republic because it means that the most powerful nation in the world had recognized our young state. For my part, I also congratulate you and cordially thank you for your assistance in this matter. Today we will make this great event public. Let all Syrians and the whole world learn about it. Approximately six hours remained until the evening ceremony at the Ministry of Foreign Affairs. We fully dedicated them to walking through Damascus. Hussein Marrash, one and the same, was our knowledgeable and sensible guide. He came up with the route of our improvised tour so skillfully that our first day of being in Damascus—the first day free from any “secretive” limitations—allowed us to obtain a pretty clear idea about this ancient city. Chief of the protocol nervously hurried the Minister to open the reception. With a worried look on his face, he took me and Jamil Mardam Bey into a vast conference hall, cleared of tables and chairs and buzzing from a variety of voices. Walking with me and making way through the applauding crowd of guests, Mardam Bey stopped in a relatively free end of the hall, waited until there was silence, introduced me to the audience, briefly spoke about the negotiations, and announced the preliminary communiqué twice—in Arabic and French. Each reading was accompanied by applause that seemed to have no end. In addition to diplomats and consuls, foreign guests included Colonel MacGarrett, the personal representative of the British Envoy in Syria and Lebanon, General Edward Spears. Forgetting about traditional British reserve, he shook my hand for a long time and, in a soulful voice, congratulated me on my diplomatic success on his own behalf and that of the General. In contrast, the French government delegate, Châtaignot, showed noticeable dryness as did his deputy, Colonel Oliva-Roget, although they, too, shook my hand and congratulated me with a diplomatic success. Selim Taqla wanted to hear my news from Moscow. After all, he did not just come from Beirut to attend the ceremony, but also to have a business meeting with me. I was glad to inform him that the response to the proposal of the Lebanese government had been received: the Soviet counterpart agreed to hold negotiations in Lebanon and authorizes me to do so for this purpose. Part II. The Middle East. Yes, it is a long and deep connection between Russia and Syria. 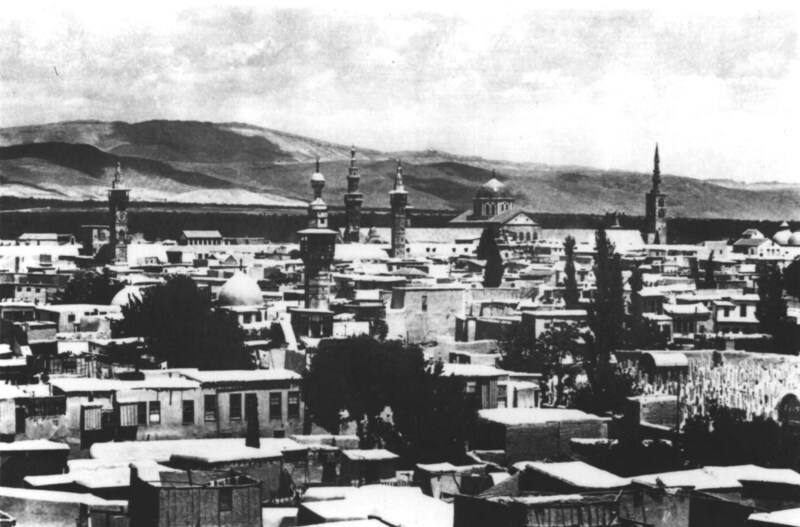 Heartbreaking to see the old picture of Damascus, and what’s been done to it now.